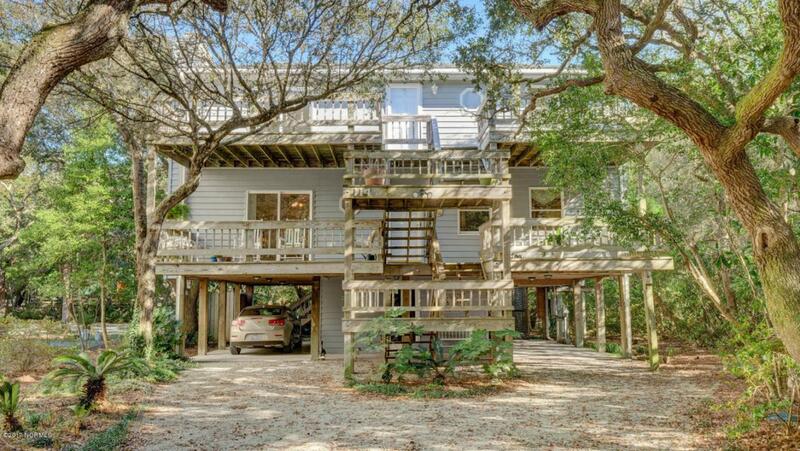 Nestled in the live oaks offering deeded Topsail sound boat ramp, day dock and deeded beach access across the street, this spacious home's floor plan features master, great room with dining area, kitchen with separate laundry room/half bath, and sun room with private entrance on the main floor. Second also has a separate entrance with 2nd kitchen, laundry closet with stackable washer and dryer, 3 bedrooms, den area and full bath. 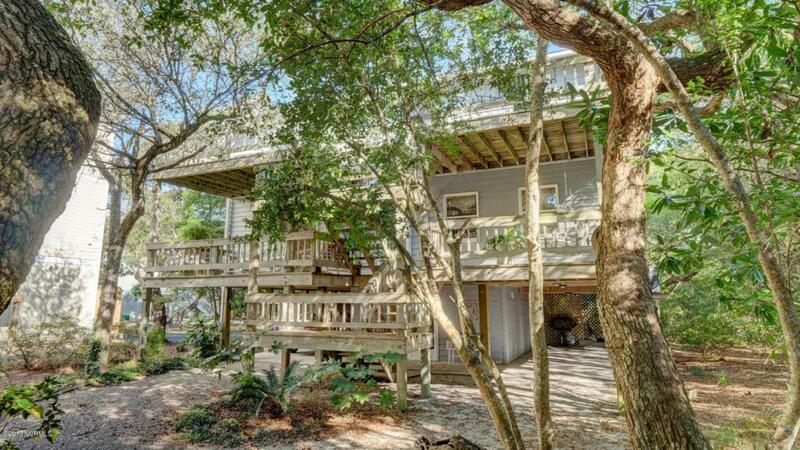 Enjoy the breeze from the ocean and sound through the live oaks while outside on both floors of decks along the front of the home, and back deck off the sun room. 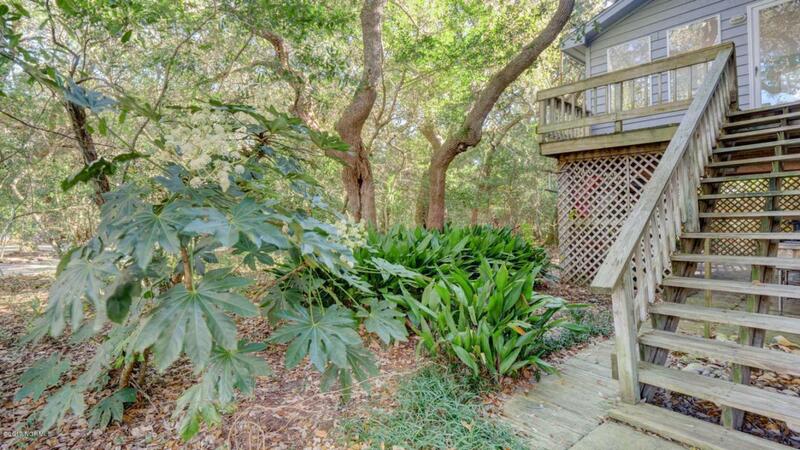 Both beach access and sound access are literally only a walk away from the home. 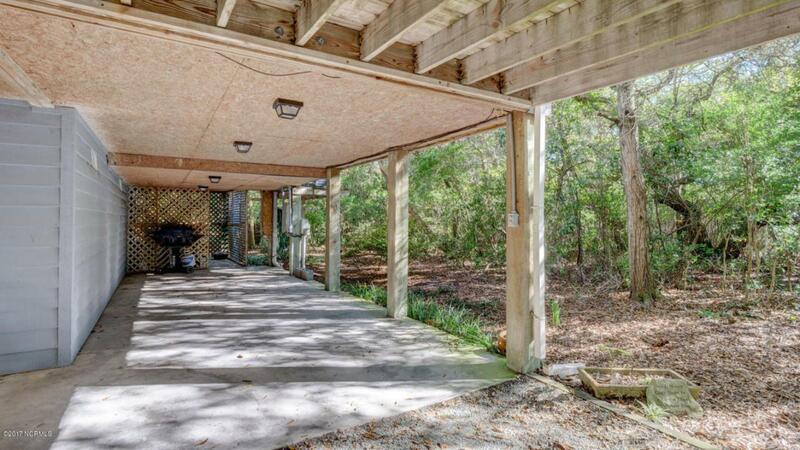 Plenty of parking underneath in two carports, with storage room and extra space for grilling for fish cleaning station.